Oooohhh boy, things are going to get complicated from here! I missed this world and characters, and was quickly absorbed back into the world. It could be argued that this book suffered from sequel syndrome, but I enjoyed this story so much that it didn't really seem to matter. It was a great plot with a lot of complications and questions and choices that led to shocking results. It was a chance to delve deeper into the world and relationships between the characters. Nova was incredibly stubborn, but watching her question her motivates were slowly being altered. I still like her and want to see how her story ends. Adrian had a lot of growth himself, and I found him and the perceptions of him as the Sentinel. There were also more than a few emotional moments, many between Adrian and Max, that tugged at my heartstrings. I'm honestly super excited to see how it all folds together, as I have no idea how it can't end in tragedy and betrayal. 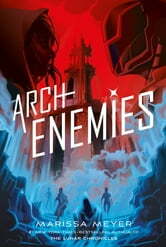 Fantastic for all readers who are swept up in the superhero craze, and for anyone who's looking for a character driven story. I just love all the emotions, drama and action. I would love to try and get the finishing book when available. And this is also the best series I have read for a long time! First of all; wow, should not have gotten this book on the release date. Now I have to wait a whole year noooo Poor judgement on that aside, I LOVE THIS SERIES. I've already seen several bad reviews online for this, as well as the first book and heartless, and I DON'T UNDERSTAND. I adore all of the characters. 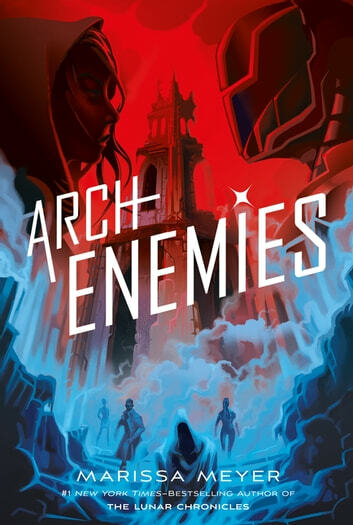 Nova and Adrian's romance and alter-ego situation is so complicated, which is super interesting to read about, and I love how different Adrian is from Marissa Meyer's male leads in her other books. I love Ruby and Oscar and I want them to be together so badly. Callum is new, but I'm so glad Marissa Meyer did that character design challenge, because he's amazing. And MAX. He's adorable and definitely one of my favorites. Some people think the characters are one dimensional, but I think they're all really well developed and great additions to the story. Also, Marissa Meyers writing is spectacular. THE ENDING. That was just cruel. I NEED TO KNOW WHAT HAPPENS GIVE ME THE NEXT ONE! Lastly though, can I just take a second to say how much I love the diversity in Marissa Meyers books? Because I do. In every one of her books, she has so many amazing, diverse characters, and I love her for it.